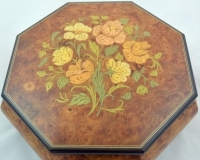 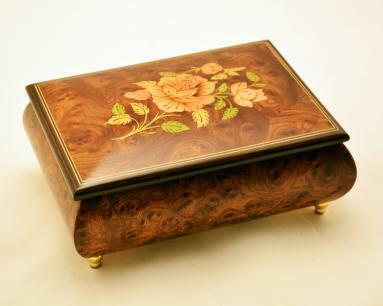 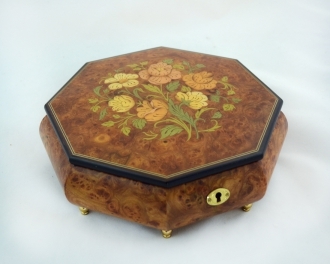 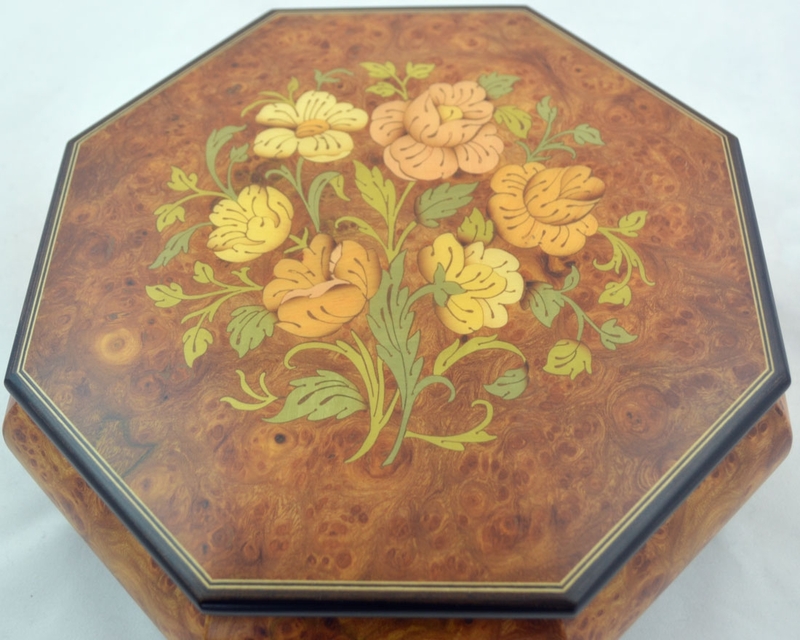 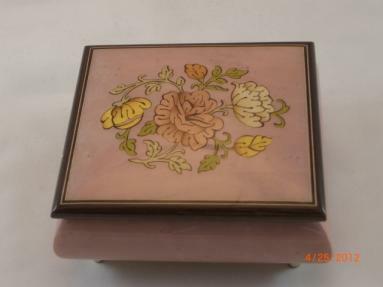 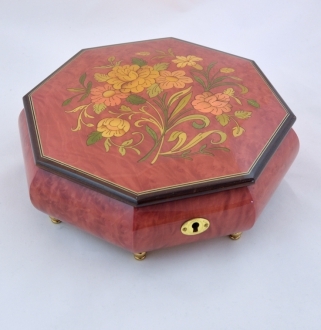 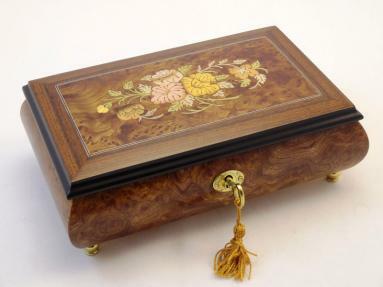 Beautiful Sorrento burl elm octagonal Matte finish large jewelry box finish jewelry box with rose inlay. Only the most skillful woodcraft masters artists can perform a design so classical but yet sophisticated. 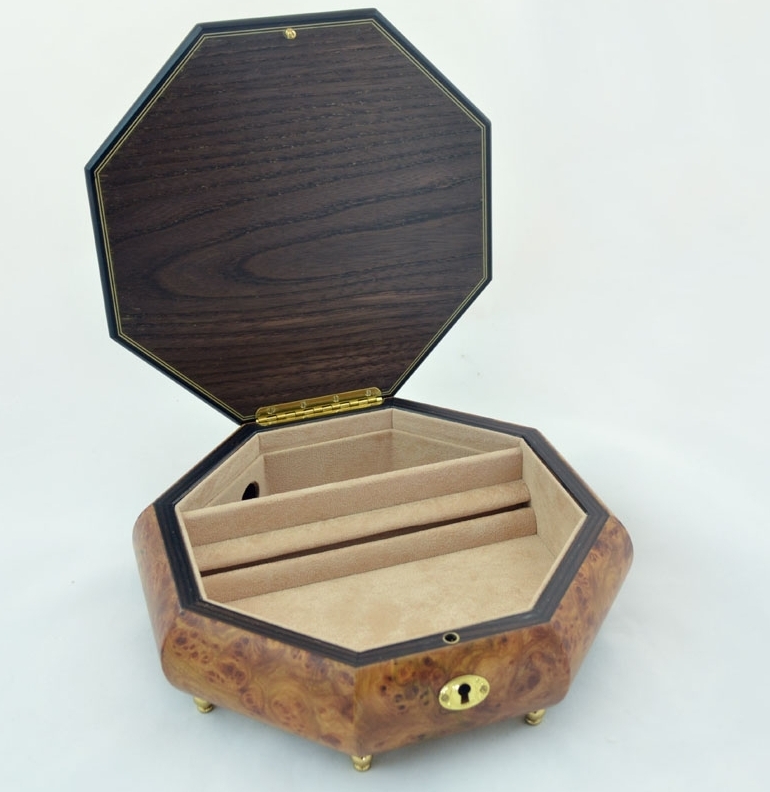 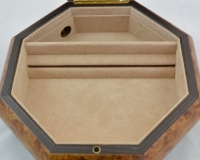 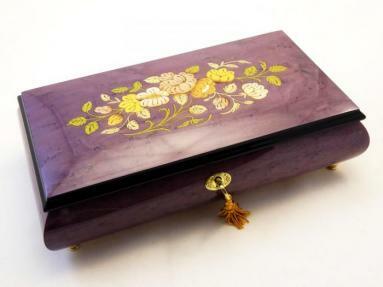 Deluxe velvet lined jewelry compartment. 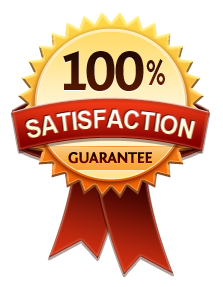 Has key and lock.